Great Central Railway Gala 27-1-2017. Greetings Steam & Ale Fans... behold a break in the Winters Grimmest... a much needed day out to the Great Central Railway Winter steam gala at Loughborough! 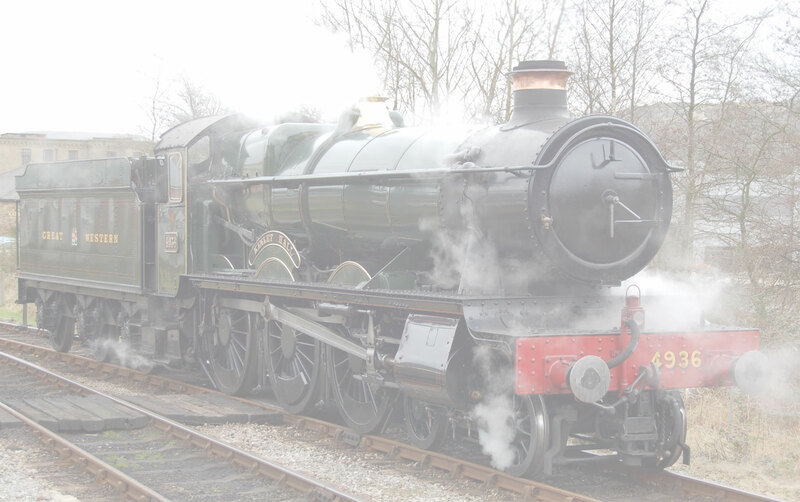 Visiting engine Q Class 30541 was the star visitor all the way from the Bluebell Railway. The home fleet providing a great pool of locos and atmospheric photos for the day, including 777 Sir Lamiel. The GWR Hall loco failed in the afternoon so knocked out a few moves. Never the less we pushed on consuming Nottingham Brewery's finest ales and GCR Bacon Rolls... And for the spotters among you an unusual sight a bright 4 wheel loco was visible at Loughborough. this was a battery electric recently newly completed by Brush Loughborough and was visiting for test running, it's destined for the Hong Kong subway rail system. The day finished off with an ale or so in Birmingham - in the classic and busy sixteen hand pump Wellington pub. Then back to Cam & Dursley on the last train a HST and mandatory travel in first class – so you can dis-embark from the front coaches at our local station.